The concept of a "free public library" took some time to develop in America. The Sturgis Library in Barnstable, Massachusetts has a very interesting discussion on various claims to the oldest library in America. The claim to the oldest free public library probably goes to the Peterborough Town Library in Peterborough, New Hampshire. Founded in 1833 it is known as the first tax-supported free public library in both the United States and the world. Many of the research sources used by genealogists come directly or indirectly from libraries and archives, both private and public. The distinction between an archive and a library is somewhat blurred. The definition of an archive can easily include a library. The question of who can use a particular library or archive is largely dependent on the supporting and operating entity either government or some privately owned institution or organization. For example, both the largest and the second larges genealogical libraries in the world are owned and operated by The Church of Jesus Christ of Latter-day Saints, while the largest library in the world, The Library of Congress, is owned and operated by the United States Federal Government. Twenty-three states report cuts in state funding for public libraries this year. For three years in a row, more than 40 percent of states have reported decreased public library support. A majority of public libraries (56.7 percent) report flat or decreased budgets, a slight improvement from the 59.8 percent reported last year. Over 65 percent of libraries report an insufficient number of public computers to meet demand some or all of the time. Overall, 41.4 percent of libraries report that their Internet connection speeds are insufficient some or all of the time. For over 40 years, our family visited the public libraries in Scottsdale and Mesa, Arizona. The Mesa Public Library was an excellent facility. But our experience mirrors the trend. The number of employees in the library had dramatically decreased. Computer usage had increased but not at the rate of overall increase in computer usage in the general community. The Mesa Library is part of the Greater Phoenix Digital Library accessed through OverDrive.com. Acquisition of new material, books etc. had dramatically declined. Now turning to the genealogical community, I would venture to say that a sizable portion of the world-wide genealogical community has not visited a library in the last year. I would also guess that there is a sizable number of genealogists who haven't set foot in a library since they were involved in formal education. So why should we care about the health of our American libraries at all? When I worked at the Marriott Library of the University of Utah, I used to think it strange that the use of the library closely followed the school schedule. During breaks between the quarters (the U of U was on a four quarters a year system) and during Summer quarter, the usage of the library would plummet. The library would essentially be abandoned. It always seemed to me that if you were attending a university, you would cherish the opportunity to be in the library, especially when it was not so busy. I identified libraries with information and I identified the acquisition of information as the ultimate goal of education. I was attending the university to gain information (an education) so I spent as much time as possible cramming all of the information I could find into my head. Genealogists deal in information. Libraries have information. Therefore genealogists should be very much involved in libraries. But now, we see a new paradigm. Information has become a commodity to be bought and sold on the open market. During most of my life, if I wanted to "research" something, anything, I had to go to a library. Therefore the subjects I would "research" had to be important enough to spend the time needed to go to the library and look up the answer to the question. When I had an interest in a specific subject, I would go to the library and read (or look through) every book they had on the subject. As a genealogical researcher, I have many questions that cannot be answered by my local public library. I have questions that cannot be answered by the huge university library that I visit now several times a week. In fact, I have questions that cannot be answered by any library any where on the face of the earth. So now what? Meanwhile, enter the Internet, stage left. If I have a question, I ask the Internet for the answer. Even trivial questions now are answered without much effort in a matter of seconds. But, I still have questions from my genealogical research that even the entire Internet cannot answer. Let's compare yesterday and today. Today, I do nearly all my research from home. I can quickly determine if I need to go to a library for specialized collections. Yesterday, I went to the library to research how to fix my car, answer questions about travel, gardening and other activities. Today, I get almost all the information I want from the Internet. Libraries are part of the solution for those in search of the digital connection and literacy required by today’s competitive global marketplace. However, unless strategic investments in U.S. public libraries are broadened and secured, libraries will not be able to continue to provide the innovative and critical services their communities need and demand. Now, if libraries are viewing themselves as providing the digital connection and literacy, what is their role in providing information services? Hasn't the Internet replaced libraries as a source of information? Here are some more statistics from the Pew Research Center article entitled, U.S. Smartphone Use in 2015." The traditional notion of “going online” often evokes images of a desktop or laptop computer with a full complement of features, such as a large screen, mouse, keyboard, wires, and a dedicated high-speed connection. But for many Americans, the reality of the online experience is substantially different. Today nearly two-thirds of Americans own a smartphone, and 19% of Americans rely to some degree on a smartphone for accessing online services and information and for staying connected to the world around them — either because they lack broadband at home, or because they have few options for online access other than their cell phone. I have commented recently on the prediction that within five years, 70 percent of the world's population will be using smartphones. See "6.1B Smartphone Users Globally By 2020, Overtaking Basic Fixed Phone Subscriptions." So, if libraries see themselves as providing digital connections, they will be marginalized by the fact that most of the world's population will be accessing the Internet through smartphones. The usage figures for the United States are significantly higher than the worldwide estimates, by the way. Where can we look for actual usage figures that reflect this move from traditional information services such as public libraries to online data acquisition? Back to the Brigham Young University, Harold B. Lee Library. If you dig a little you can find the library statistics. The statistics show that since 2009 there has been about a 52% decrease in library usage. This is a major university library and we are not talking about the economy or funding or politics or any of the other possible causes of decline. My personal opinion is that libraries as they are presently constituted will be unrecognizable in the not too distant future. They may well serve as cultural, social and even entertainment hubs, but the function of providing information has now moved to the Internet. As a genealogist, if I can access online millions of records previously only available in libraries and particularly one library in Salt Lake City, Utah and if I can access most, or nearly all of the books about genealogy online, why would I visit a library? Or even need one? Millions of books, many valuable to genealogists, are being digitized around the world. The basic question is why are so many of these books, even those clearly out of copyright protection, subjected to various types of restrictions and outright denial of service? In this post, I am using an example from Brigham Young University. This is only one example. I could make a similar issue of almost every private and public library in America. The libraries' attitude towards ebooks is ambivalent to say the least. This is especially true for books that have little or no commercial value but are still under copyright and therefore subject to special, very inconsistent, restrictions. I have referred recently to my primary example. As a volunteer at the Brigham Young University Family History Library, I can check out most, if not all the circulating books, of the millions of available paper books in the main, Harold B. Lee Library and read them at my leisure (assuming I had any) in my home. But access to the ebooks is limited to students and faculty. This would make sense more than a hundred years ago when almost all libraries were limited to those who paid for access, but the U.S. has had free public libraries since the time of Andrew Carnegie. It is also true that some other big archive/libraries have closed stacks and access is limited to those who qualify for doing research. Again, this made some sort of sense in that the closed stacks protected the collection from theft. But the BYU Library example seems counter-intuitive. It would seem more logical to make the paper books restricted to the library and allow more access to the ebook collection where there is no danger of loss, damage or theft and where the costs of circulating the books are minimal. Once a book is digitized and online, there is really almost no cost associated with the process of checking out or checking in the book. In addition, the overhead cost per book to maintain large collections is extremely small. If access control is some kind of issue, how about charging a fee for access. But this does not seem to matter, the BYU Library has a Friends of the Library arrangement but even if you donate $1000 a year that does not give you access to the millions of ebooks online and available to the students. It is possibly an extension of maintaining libraries, especially university libraries as cloistered environs for the academically select few, but that is another subject for another day. If this is a money issue, then it would seem to be resolvable. If it is a licensing or copyright issue, then why do the students and faculty have access. Normally, a digital library is required to have a copy of the paper book for each digital copy made available. Commercial services such as Overdrive.com exist to provide libraries with digital book collections that can be "checked out" from a local library. Utah has such as system through Overdrive.com called Digital Utah, Utah's Online Library also known as the Pioneer Digital Library. The Utah Overdrive collection is pitifully small, the largest non-fiction categories have what you would expect in a small high school library. In comparison, the Phoenix Digital Library maintains collections over four times as large in the same categories. This is not necessarily a function of the size of the population. The Digital Utah Overdrive or Pioneer Library is comprised of almost every library of any size in the entire state. Surprisingly, one of the major free components of the Digital Utah digital library is a huge collection of material from Brigham Young University. In addition, the Library has partnerships with three major, free, online digital libraries: the Internet Archive, the Mountain West Digital Library and the Digital Public Library of America. For genealogical research, size is important. Genealogically related books are not usually in demand by library patrons and maintaining a sizable collection can be expensive and have little or no general public appeal. So where do we go? Well, the Internet Archive (Archive.org) has a huge collection. 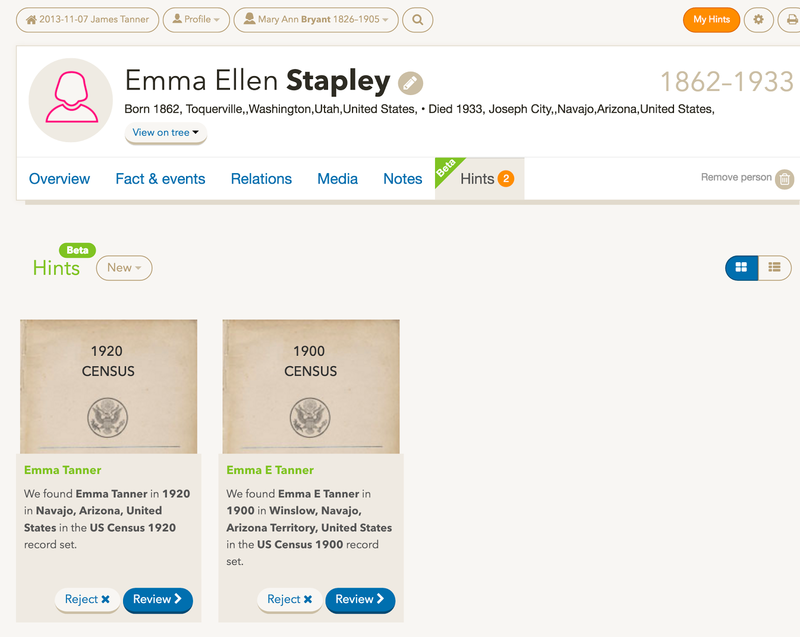 FamilySearch.org also has a huge online collection of genealogy books, but a significant part of the collection can only be accessed from inside the Family History Library in Salt Lake City or in a Family History Center. Lately, the largest collection of books and periodicals specifically for genealogists has been put online by MyHeritage.com. Of course, MyHeritage.com is a subscription service and therefore has an incentive to maintain large, searchable genealogical collections. But the presently MyHeritage.com has close to half a million fully searchable genealogy books online. The real bottom line problem here is the future of libraries. Why do I need I library if I can get any book I want for a nominal fee from Amazon.com or MyHeritage.com or for free from Archive.org or Google or FamilySearch of any of hundreds of other online ebook websites? As a self-fulfilling result of the restrictive attitude of libraries, library usage across the United States is in a slow but constant decline. See Pew Research Center, Libraries and Learning. Many libraries, like those in Utah, do not put much emphasis, if any, on their digital book collections. Additionally, offering ebook collections does not seem to enhance in library visits. In fact, it is likely that those who use ebooks the most, are probably even less likely to visit a library in person. The role of libraries in the face of the technological changes is unclear. From any standpoint however, limiting access to ebooks in not in the interests to researchers, including genealogists, or any other serious readers. If the libraries do not supply the ebooks then the online, commercial entities, such as Amazon.com will certainly compete and the libraries will be the losers. As I have written recently, why would I donate to a university library who did not provide me ebook access when for far less than my contribution, I could purchase a full, unlimited subscription to Kindle Unlimited Books with millions of volumes available? I am in the business of information and I have been most of my life. I shop information the same way some people shop the prices of physical objects online. If I find information cheaper from non-library sources then libraries lose the "sale." If they lose too many sales, they go out of business. End of story. 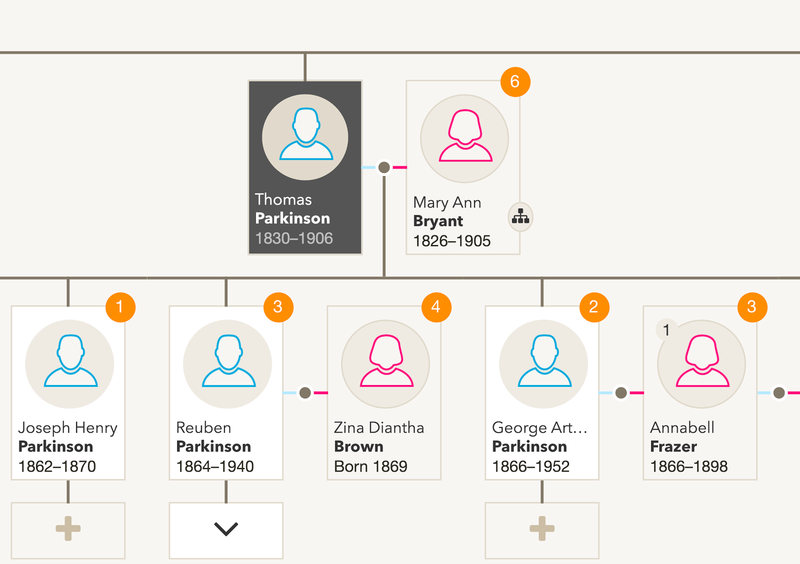 Findmypast.com has continued to expand their record hints on their own family tree program. I have found these hints to be very helpful in extending my English family lines. They have recently added a hints notification to each ancestor's profile page. As is the case with English research, there are many people with the same name and very similar families. It is important to focus on the locations of the events suggested. 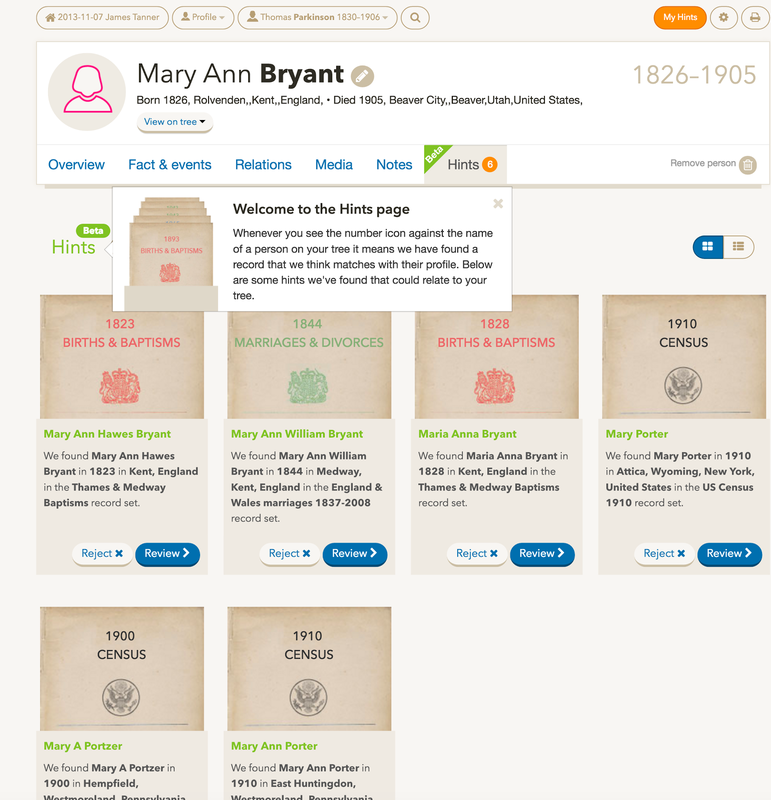 Here, Mary Ann Bryant and her family are from Rolvenden, Kent, England and she emigrated to Australia and then to America where she got married and lived in Utah. So, none of these particular hints apply to my ancestor. But others have been very helpful. Here is an example of two very useful hints. Don't become discouraged with hints that don't apply to your ancestors. They are more helpful than making a scatter-gun approach to searching for records. The amount of the investment is not disclosed but the two new investors are said to have acquired "substantial equity stakes in Ancestry at an enterprise value of approximately $2.6 billion." This could be read to imply that the amount paid was the $2.7 billion. But a better reading of the statement would be that the total amount invested was based on a valuation of Ancestry.com of $2.7 billion. I would base this guess on the First Quarter 2016 Financial Statement that shows Ancestry.com LLC with a value of approximately $1.6 billion dollars. See Ancestry.com LLC Reports First Quarter 2016 Financial Results. The question of who owns Ancestry.com LLC now is partially answered by the following statement from the May 23rd press release. Silver Lake and GIC each have three representatives on the "Operating Committee." This is what an LLC has instead of a Board of Directors. The management of the company is defined in its Limited Liability Company Agreement. Spectrum and each of the Ancestry.com LLC principals have one position. It is rather simple to figure out that with 9 positions, a controlling decision is going to take at least 5 votes. Together, Silver Lake and GIC can control the company. Either of them would have to have at least two of the other investors to take control. It appears that the future direction of the company will be up to whether or not Silver Lake and GIC agree as to any major change in strategy. Tim Sullivan and Howard Hochhauser can exert a lot of control if it turns out that Sliver Lake and GIC are at odds. Essentially, the equity positions of the employees is being bought out. What will this mean in the future? We will just have to wait and see. As I have sometimes noted, the legal system of the United States is very conservative. The procedures, causes of action and much of the legal terminology dates back hundreds, perhaps thousands of years. Much of what we call "the law" in the United States is directly descendant from the English Common Law system. One very obvious indication of the conservative nature of the law practice is the persistent use of Latin terms, not just Latin derived but the actual terms in the Latin language. They no longer teach Latin to new lawyers but in most cases, when someone starts out in law school, they are immediately faced with a seeming deluge of Latin terms and phrases. As genealogists researching back in time in any European country, we eventually find records written completely of partially in Latin. However, if you are researching court records, including probate, personal injury, criminal or any other type of action, you may still run into Latin. I can say from experience that after a while, the Latin phrases become so familiar I forget they are in a non-English language. The words and phrases have become part of my "English" vocabulary. Here is the list with my perspective on the usage. A literal translation of the phrases usually does not help in understanding how the term is used in the law. In addition, some of these phrases have become so common that they have passed into ordinary usage. Sometimes the common use of the words differs from their technical, legal usage. I have no intention of listing every Latin legal term ever used. For anything not on this list see Black's Law Dictionary. et al. -- literally "and others"
This is one of those terms that has passed into common usage. It is an abbreviation of et alii which translates as "and others." In the law it is used as a common abbreviation in the heading of legal cases filed with the court to avoid listing all of the parties every time a pleading is filed. et cetera, etc. -- literally "and other things"
The abbreviation of this term is extremely common and its usage in legal cases clearly parallels its usage in common English speech. It now is usually used for "and so forth" or in a list to indicate that the whole list is not included. et seq. -- literally "and the following things"
Another common adoption into commonly spoken English, the term in the law is used to show that the the following items (unwritten) are caused by the first one listed. It is also used by lawyers to include numbered lists, pages or sections after the first number is stated as in being used for "and the following sections (of the law). It is roughly the equivalent of "and so forth." It is an abbreviation of et sequens meaning "and the following ones." et uxor or et ux. -- literally "and wife." In the not too distant past and in some places today, the husband and the wife were considered to be one person and the husband was the one. This is not a commonly spoken term in English. It is not used too often even in legal documents. a priori -- literally "from earlier"
In a legal sense this term is used to refer to the existence of one or more causitive events. ab initio -- literally "from the beginning"
This term refers to the fact that some legally enforceable provision in a deed, contract or agreement is in force from the time the document was created. ad hoc -- literally "for this"
In common usage, but from a legal standpoint is refers to an unsupported argument or one that has no foundation. In genealogy, most online family trees would be ad hoc creations. post hoc, ergo propter hoc -- literally "after this, therefore because of this"
Sometimes used in common speech but more common in philosophy and law. This could be said of much of what passes for genealogical research online. More commonly, genealogists use the phrase "same name, same person." The phrase can refer to any unsubstantiated argument or proposition. sui juris -- literally "of his own right"
The phrase is used to refer to someone who is legally competent to manage their own affairs. in absentia -- literally "in absence"
Said of a legal action such as a trial, court hearing, sentencing or other proceeding conducted without the presence of a necessary party. Usually applied when a party has voluntarily failed to appear in a scheduled hearing or trial. That should get you started. Here is link to a much longer list. The juxtaposition of several news stories caught my attention. A report by the U.S. Government Accountability Office (GAO) found that the Pentagon was still using 8 inch floppy disks as storage media for its nuclear defense program. This technology pre-dates even my ancient entry into computers. The details of this travesty are outlined in the GAO Report to Congressional Requesters, May 2016, Information Technology, Federal Agencies Need to Address Aging Legacy Systems. Here is a quote outlining the problem. Federal legacy IT investments are becoming increasingly obsolete: many use outdated software languages and hardware parts that are unsupported. Agencies reported using several systems that have components that are, in some cases, at least 50 years old. For example, Department of Defense uses 8- inch floppy disks in a legacy system that coordinates the operational functions of the nation’s nuclear forces. In addition, Department of the Treasury uses assembly language code—a computer language initially used in the 1950s and typically tied to the hardware for which it was developed. OMB recently began an initiative to modernize, retire, and replace the federal government’s legacy IT systems. As part of this, OMB drafted guidance requiring agencies to identify, prioritize, and plan to modernize legacy systems. However, until this policy is finalized and fully executed, the government runs the risk of maintaining systems that have outlived their effectiveness. The following table provides examples of legacy systems across the federal government that agencies report are 30 years or older and use obsolete software or hardware, and identifies those that do not have specific plans with time frames to modernize or replace these investments. These issues directly impact genealogy when you look at the list referred to in the quote. A recent issue in the genealogical community involved and continues to involve the Social Security Death Index (SSDI). You should note that both the Department of the Treasury and the Social Security Administration are on the list of agencies with outmoded computer systems. The problems with the alleged use of the SSDI to avoid taxes may not be a privacy issue at all but rather a symptom of incompetence on the part of both agencies. Dubbed MAREA—Spanish for “tide”—this giant underwater cable will stretch from Virginia to Bilbao, Spain, shuttling digital data across 6,600 kilometers of ocean. Providing up to 160 terabits per second of bandwidth—about 16 million times the bandwidth of your home Internet connection—it will allow the two tech titans to more efficiently move enormous amounts of information between the many computer data centers and network hubs that underpin their popular online services. Google is already into the cable business as this quote shows. The project expands the increasingly enormous computer networks now being built by the giants of the Internet as they assume a role traditionally played by telecom companies. Google has invested in two undersea cables that stretch from the West Coast of the United States to Japan, another that connects the US and Brazil, and a network of cables that connect various parts of Asia. Rather than just leasing bandwidth on undersea cables and terrestrial connections operated by telecoms, the likes of Google, Facebook, and Microsoft are building their own networking infrastructure both on land and across the seas. The fact that these large private corporations are making huge investments in information technology highlights the fact that the United States Federal Government has mis-directed much of its bloated budget and is not even attempting to remain competitive with the large companies. We only have a few new features this month because we’re working on significant improvements to FamilySearch. While the improvements are being tested, there may be a few times when the system will not be available. We have scheduled times when few users access the system. We hope you will be as excited about the improvements as we are. You’ll hear more in future editions of What’s New. We have been experiencing those "outages" for some time now. One of the main issues faced by FamilySearch is the unanticipated growth in the usage of the FamilySearch.org website. FamilySearch has kept up with the technological changes, but it has the same concerns as the other big online companies in its ability to move information around the world. Its updates are aimed, in part, at the slow down in response of the website due to the demand exceeding the ability to supply information. It is a good problem to have, but only if the entity addresses the issues. Apparently FamilySearch is on the side of the other large online companies and not following the example of the U.S. Government. Recently I wrote about the lawsuit brought by the Author's Guild against Google where Google prevailed on the issue of fair use. Well Google just won another huge fair use lawsuit. A news article on arstechnica.com is entitled "Google beats Oracle -- Android makes "fair use" of Java APIs." The gist of the story is that Google was being sued by Oracle who was claiming a violation of Oracle-owned copyrights to the Java programming language. The article states. Following a two-week trial, a federal jury concluded Thursday that Google's Android operating system does not infringe Oracle-owned copyrights because its re-implementation of 37 Java APIs is protected by "fair use." The verdict was reached after three days of deliberations. This is a landmark decision and, along with the Google Books ruling, strikes a blow for opening information to the world, genealogists included. In contrast to my previous post about the lack of digitization and the inaccessibility of the U.S. National Archives, we can see that there are a few bright spots on the horizon. Our main focus as genealogists is information. We gather, evaluate, disseminate and store information. It seems to me that if what we are doing is working with information, we should be very much involved in the technological changes involving manipulating and working with our subject matter. In other words, we should be actively embracing the information revolution. Current online and computer technology is part of what is now referred to as the "Information Revolution." Quoting from the University of Missouri article entitled, "The Information Revolution:"
The Information Revolution is a phrase we use to refer to the dramatic changes taking place during the last half of the 20th century in which service jobs (ranging from high technology, highly skilled professions to low-skill jobs like short-order cook) are more common than jobs in manufacturing or agriculture. The product of skilled professionals is the information or knowledge they provide. I am perfectly familiar with selling information. I was hired by thousands of clients who paid me for what I knew. All I ever produced were words and ideas; hundreds of thousands of pages of the stuff and years of speaking. Now I find myself immersed in the very narrow and specialized area of genealogical information. What I see is that that genealogist are "way behind the curve" in adopting and adapting to the new technology. Part of what I write about in this blog is how the new technology is evolving and how the changes in that technology impact genealogy and genealogists. It is not just important to use the technology: it is also important to understand how it is affecting and will affect what we do as genealogists. I am often reminded of the the Bob Dylan song that I have quoted before, "The Times They are a Changin'"
I realize that the context of the song has changed dramatically, the message is the same. We either keep up with the changes, in this case, technological changes, or we lose out and metaphorically, sink like a stone. Because of my technological background, I am constantly seeking a faster and more efficient way to do my work. Over the past two years, with the fastest Internet connection in the country, Google Fiber, and now one of the fastest computers available at a reasonable price, I have been looking to streamline my information handling methodology to match the technology. My attention has focused on three devices (all Apple by the way): my iPhone, my relatively newly acquired iPad Pro and now my very new iMac. Part of my focus has been on integrating online resources into my work flow to avoid moving paper as much as possible. Ideally, I would like to go from original source documents, through all the steps of analysis and evaluation to integrating the newly discovered information into my database without once touching paper (unless the original is on paper or whatever). Why is paper a problem? That question addresses the crux of the issues involved. In our existence on earth, we find ourselves in a web of family relationships. For thousands of years communication has been limited to people being present or the written word. Today, after a hundred years or so of technological development. I can sit at my desk and essentially write to the entire world in an instant. If I were limited to writing on paper, that could never happen. It would take a huge production and distribution industry for me to be heard. Now match that with genealogy. Genealogists, until very recently, worked on "their" family. That concept has now changed. We now work on "our" family. There is no "my" family or "your" family. We are all part of one huge world family and the technology lets us see and experience those worldwide relationships instantaneously. But for the most part, the genealogists do not grasp this expansive view of our interrelationship. They still have their noses firmly glued to paper or what is worse, its electronic equivalent. So far, genealogical processes and methodologies have been focused almost entirely on reproducing paper technology. We need to start swimming in the world of online, completely collaborative, expansive and progressive technology and stop trying reproduce our paper world in a digitized format. Here is one example concerning the genealogical work flow. In searching for information on a specific ancestor, I identify a place where that ancestor lived or some other event occurred. I begin to search for possible source documents that may have originated at or near the time my ancestor lived in a specific location or the event occurred. With those limitations in mind, I begin to sweep online and in catalogs to locate anything that might relate to that date and place. I then begin to methodically review every single source of every kind that might contain the information I am seeking. On a very local and personal basis, I can go to the section of the Brigham Young University, Harold B. Lee Library and search the shelves, looking at each of the books and pulling everything that might be relevant for inspection. When I did this recently, I found a book that had transcribed the court records of one of my ancestor's probate case. I walked over to a table with the book and pulled out my iPhone and took a photo of each of the pages where there was information about my family. I also took a photo of the cover and title page of the book. I then used the iPhone to upload the images to my Google Drive account. 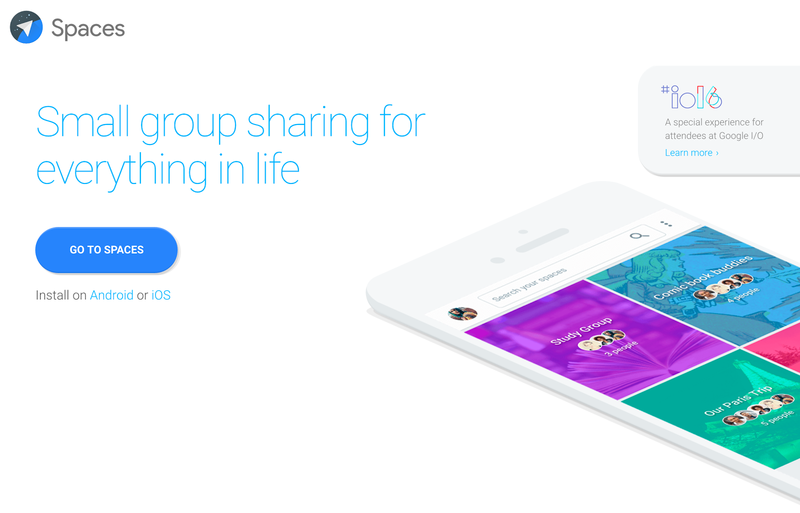 Google has 1 Terabyte of storage for free. When I got home, I downloaded the images from the Google Drive and then created a source citation in the FamilySearch.org Family Tree program and uploaded a copy of the information in the probate file to the FamilySearch.org Memories program. That information then formed the basis for adding a source citation to that ancestor's Detail page. The key here was the ability to move the images of the book pages to the "Cloud" or Google Drive directly from the camera (my iPhone) to my computer and then into the Family Tree. This is the type of methodology I have been focusing on. In a true sense, the information that was locked up in a few copies of that book has been liberated and is now part of an online stream that can be viewed, evaluated and integrated by anyone in my family who cares or is interested. Part of this process is severely limited by the availability of online, digitized sources. Obviously, if I had the probate files available online, there would be no need for the trip to the Library or searching the stacks. There are background issues of file format, file size, data transfer speeds, file quality transferability and other issues, but these are some of the same issues we have with all online files. What makes this possible is the ability to move information digitally. But at every step of this process, we have impediments to moving the information. We have genealogists who claim ownership to their jointly held family information, we have governments that limit our ability to gather information about families. We have prejudice and other issues that block us from gathering information and we have a whole world that seems determined to destroy our families and prevent us from finding our information. We cannot own information we can only try to control it. We can persecute those who want it. We can destroy records but we have no real ownership over information. Why then do we, as genealogists, think we own the information about our families? Right now, information about my ancestors, my part of the human family, is spread all over the world in bits and pieces. The real effect of the information revolution is that more and more I am able to find and incorporate all those bits and pieces into an organized whole that can then be viewed, corrected, analyzed, evaluated and disseminated to everyone. In my last post, I quoted a restriction I found on a book in the Brigham Young University, Harold B. Lee Library. Here is the quote again for reference. No part of the publication may be reproduced, stored in a retrieval system, or transmitted in any form or by any means whatsoever, whether electronic, mechanical, magnetic recording or photocopying, without prior written approval of the Copyright holders, excepting brief quotes for inclusion in book reviews. Privately printed in the United States of America. As an afterthought, I decided it might be helpful to point out some of the reality of making a statement such as this. First of all, the book was nothing more or less than a direct transcription of old mid-1800s Vermont probate files. There was nothing added, no comments, to explanations, nothing. There is now question that once a work is in the public domain, there is no way you can impose your own copyright claim on the once-public domain work. The word "work" in copyright law includes this book. See Copyright Law of the United States of America and Related Laws Contained in Title 17 of the United States Code, Circular 92 copyright.gov Chapter 1: 101. For an excellent summary of the entire copyright law see Copyright Term and the Public Domain in the United States. The next, more serious issue is that the statement made in this book is inaccurate, misleading and just plain wrong. The Doctrine of Fair Use cannot be abrogated by a written provision in the publication. Taken literally, this provision would not allow you to read the book. Arguably, your brain is a retrieval system. This is type of ignorant overreaching that gives researchers fits and gives copyright law an even worse reputation than it already has. Just so there is no misunderstanding. The book is nothing more than a copy of a public domain document. There is no legal argument at all that would produce copyright coverage for this book. So far, technology has had little impact on genealogical research. We are still well mired in a paper-based mentality and embroiled in archaic methodology. We like to pat ourselves on the back because we take advantage of digitized records, but then we treat those records as if they were paper and create digital forms that duplicate what we have been doing since time immemorial. Paper is two dimensional and our digital forms mimic their dimensionality. This fact was brought home by a simple question posed to me last night and some time I spent looking at books. A patron came into the Brigham Young University Family History Library and asked me how to represent that some German children had been adopted by their grandparents using the FamilySearch.org Family Tree. I immediately showed him how the program would allow the user to designate the relationship of a child as biological, adopted, guardianship, step or foster. In this case, during the wars in Europe, these children had been born out of wedlock and there was no record of their fathers' identities. Accordingly, the children were "adopted" into the family by the parents of the daughters with out-of-wedlock babies, i.e. their grandparents. This whole relationship was completely obscured by the program. No one looking at the program, unless they looked very carefully at the type of relationship, would know of the circumstances. When the child was listed as an adopted child of the grandparents, the Family Tree had a warning message that said that the child was born after the mother (now the adopted grandmother) could have children. Today, we have very three dimensional families. We have couples with children from several different marriage relationships and many where marriage was not an option. There are a few programs that try to represent these "non-traditional" family relationships in innovative ways, but then the innovation is lost as soon as the data is loaded into one of the online family trees or shared with someone who does not use the same program. If I move to Ancestry.com, I have even more options to categorize the relationship of the children: biological, adopted, step, foster, related, guardian, private and unknown. What is a "private" relationship? How do I represent that parent-child relationship if I move my data to the FamilySearch.org Family Tree? Why am I faced with a loss of data if I move the information from one program to another? This example deals with some Western European relationships. If I move to another culture in a non-European setting, I will see even more anomalies in the representation of the data. If I come from one of these countries and use the online and desktop programs, I am forced into the European relationship mold. Hmm. According to this notice, I could not copy down the information about my ancestor's probate with a piece of paper and a pencil without violating the authors' copyright claims. What good is all these authors' work to me or anyone else. Why does the Library keep a copy of this book if it cannot be used for any purpose except a book review? Why write a genealogically valuable book and then tell everyone not to use the information? Exactly. Perhaps you can see that these are both the same problem. We make an effort to extract and store information and then make it impossible to share what we find. Whether this occurs as a result of lack of communication between computer programs, a design flaw that obscures valuable genealogical information or an overly broad claim of copyright, all of these issues put us back in the medieval days when books were chained to their shelves and only the rich and powerful could read them. You don't own your ancestors and yet you cannot use the information found by your own relatives or stored about your own family because of archaically inappropriate restrictions. As I have observed previously, it amuses me to see people adding ancestors to their family tree before about 1500 A.D. I suspect that there is a very limited amount of actual research that has been done. Few of the entries I see have any source references to documents or books that would date back to this time period. In addition, few people recognize the linguistic and orthographic challenges of doing research into manuscripts from this early time period. To start this discussion, it is important to have a general knowledge of the history of the English Language. It is also important to remember that many ecclesiastical and even civil documents were written in Latin as late as the 17th Century. English is most commonly divided into three general time periods; Old English, Middle English and Modern English. All of the other modern languages spoken in Europe (an for the rest of the world for that matter) can also be divided into distinct time periods based on linguistic change but I am focusing on English because of our English Common Law heritage in the United States. In addition to Old English and Latin, the inhabitants of the British Isles spoke a language that is referred to as Anglo-Norman or French beginning with the Norman Conquest in 1066. French was dominant in the ruling classes into the 14th Century (remember that the 14th Century is the 1300s etc.). Here is an English Language Timeline. The earliest Old English inscriptions date from about 450 to 480 A.D. 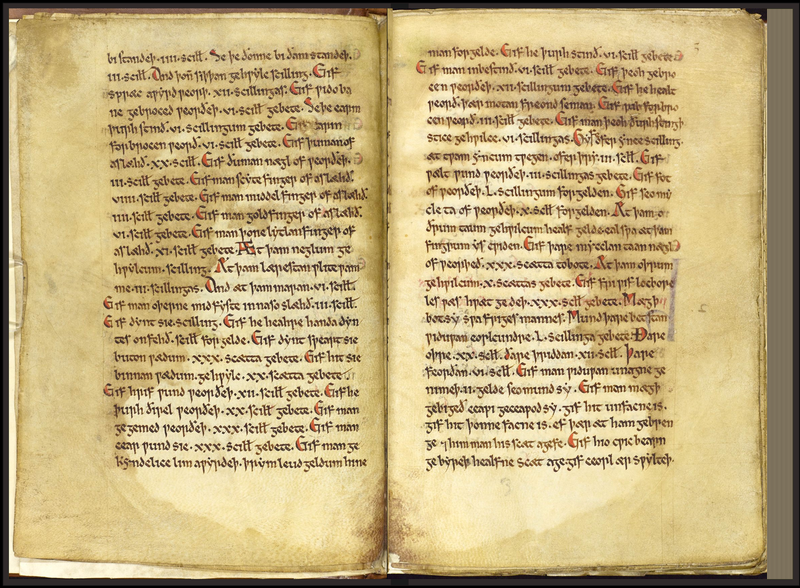 Some of the oldest Middle English manuscripts date from about 1150 A.D. Henry IV became the first English-speaking monarch since the Conquest. What does this mean for genealogists? Modern English or New English began in the late 14th Century and was roughly understandable by modern English speakers in the mid-16th Century. Modern English is dated from a linguistic phenomena called the "Great Vowel Shift." See "What is the Great Vowel Shift?" As genealogists, we may not be overly concerned with how these earlier forms of English sounded, but we need to realize that they had a profound effect on vocabulary and orthography. Here are examples of the three phases of English. 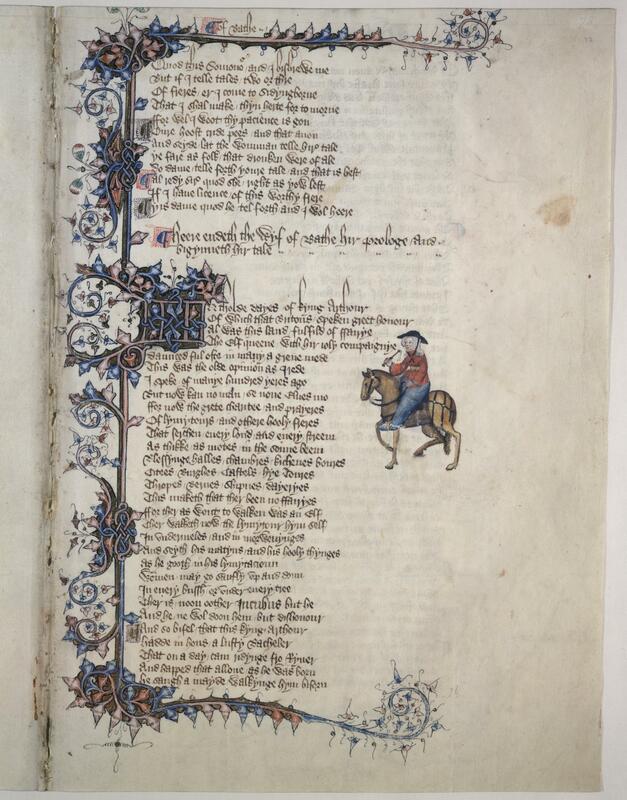 Here is another example of a Middle English manuscript from the 15th Century. Titlepage and dedication from a 1613 King James Bible, printed by Robert Barker. When genealogists venture into the world of old manuscripts for wills and probate actions, they soon find themselves embroiled in the issues of language and writing changes. Here is a continued example of the transcription of the will I quoted in the first post in this series. The language of this will dates to the time of transition between Middle English and a more modern variety. When you get to this level of research, it is time to get out dictionaries. I will get into explaining the language and the law in subsequent posts in this series. Here are the previous posts in this Will series. The Pew Research Center issued a report on a study on Libraries and Learning posted on April 7, 2016. I think the post has some interesting observations on the current trends in library's usage in the United States, but I think the findings also add some very interesting implications for genealogy and genealogists. My attention was drawn to this topic and the Pew study from reading an article in the Brigham Young University school newspaper, The Universe, dated May 17, 2016 entitled "BYU students checking out fewer books as electronic reading options rise." Twenty-eight percent of Americans didn’t read a single book in the last year. More then 50 percent didn’t take one step into a library, according to Pew Research. Compare that to about three hours spent by the average person watching television or movies and nearly five hours spent using cell phones each day. Library usage rates continue to drop across America, including at BYU. The checkout rate last year was about 40 percent less than what it was in 2009, according to the library’s website. The article reports that the BYU Libraries now have almost 3 million books online. As an interesting side note, even though I volunteer in the Library, I am only allowed to check out "paper" books. I do not have access to the online collections unless I access them in the Library. Even if I were to become a "Benefactor" of the University Library and donate at least $1000 a year, I could still not check out ebooks from the BYU Library. Circulation of ebooks is limited to employees and students. This example points out a very interesting issue with Libraries across the country. They are all jurisdictionally and geographically restrictive. This is natural because the libraries derive their support from the local community and so restrict their collections to the local community, just as is done by BYU. They are also face the monumental restrictions imposed by copyright laws. This said, they also fail to recognize that they are in competition with online digital book suppliers. Suppose I wanted access to the BYU Library ebook collection and had $1000 a year to donate. Why would I do this just to read ebooks? I might donate for other reasons, but if I wanted to read ebooks, I could get access to many online ebook services for far less than my donation to BYU. For example, Kindle Unlimited gives you access to over a million books for $10.00 a month. Now to genealogy. Genealogists are subject to the same limitations and market forces as the general population. As I have been writing recently, my own observations are that genealogical researchers use few books. There are exceptions, but they are not common. There are some large online collections of genealogically significant books, but each of the collections has its limitations. It is also unlikely that a researcher would sit down and read a book from cover to cover just on the chance that it had some mention of an ancestor. 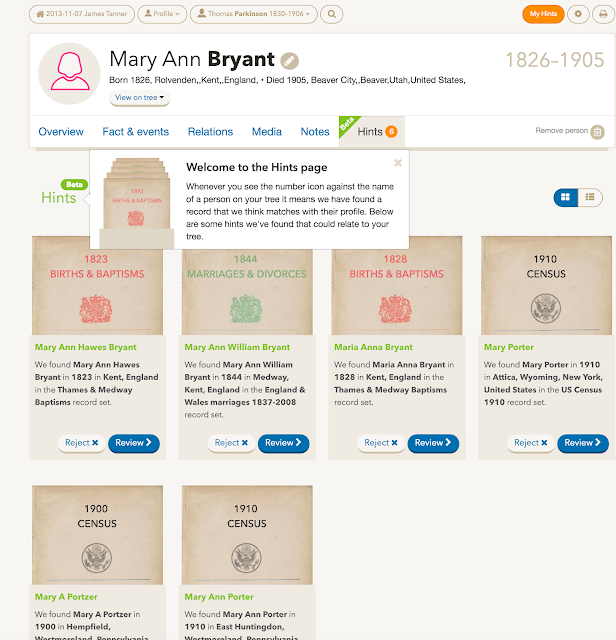 The most significant advance in this area is the initiative started by MyHeritage.com to add almost a half a million genealogically relevant books to its advanced search capabilities. I do not see fee-based systems as a problem. What I do see as a problem is that the fragmentation and restrictions imposed by those who are digitizing the books makes them hard to use with the exception of the initiative started by MyHeritage.com. The courts in the United States have made some small inroads into making this vast amount of information available by ruling in favor of Google.com in its book efforts, but I still see the general population turning away from libraries and books simply because they are not as conveniently available as other forms of entertainment and reading. I am aware of many people who have moved entirely to reading books online. Articles, such as the BYU Universe article always quote someone who "loves to use paper books." But this is a cop-out. If so many people love paper books, why aren't they going to libraries to check them out? The answer is one word: convenience. Some more examples from the genealogy world. FamilySearch.org has a big collection of digital books. I just checked and they have digitized 279,467 as of today. But their collection is neither visible on the website nor is it easy to use. It is also not integrated into a search for sources in the Historical Record Collections. My experience is that very few users of the website even know of its existence. Another example. 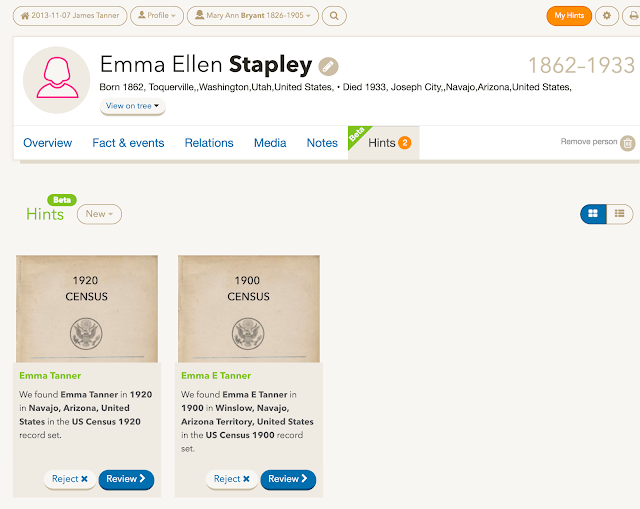 How many digital genealogy books are on the Ancestry.com website? After searching in the card catalog, the best number I can come up with is 23,537. If you are looking for an ancestor on Ancestry.com have you searched the books? Did you know they existed? Have you added a book source to one of your ancestors? If you look closely at the list of "books" however, you will discover that some (many?) of the "books" are actually indexes to books and the books themselves are not available. Are the local libraries in your community making it easier for you to gain access to their collections online? Or are they like the Utah Pioneer Digital Library here locally with fewer books than the average high school library for an entire state? The challenges: fragmentation, lack of availability, copyright and other restrictions, inconvenience, and many others. PROVO, Utah, May 18, 2016 (GLOBE NEWSWIRE) -- Ancestry.com LLC, the largest provider of family history and personal DNA testing, announced today that its subsidiary has entered into a definitive Agreement and Plan of Merger to acquire Adpay, Inc., creators and operators of the Memoriams.com obituary input network. "Memoriams.com is a great addition to the Ancestry family. Together with Newspapers.com, it enables us to help newspapers across the country strengthen and grow their business and presence in their communities," said Brian Hansen, SVP of Emerging Businesses at Ancestry. "We are excited to have this incredible team onboard and look forward to helping them accelerate their growth." Memoriams.com is the largest and fastest growing obituary platform, submitting to approximately 3,000 newspapers in the U.S. from a rapidly growing number of funeral homes. Designed for funeral directors and newspaper publishers, Memoriams.com streamlines the obituary entry process to better support the needs of families, eliminate errors and reduce overhead for funeral homes, and increase revenue for newspapers. 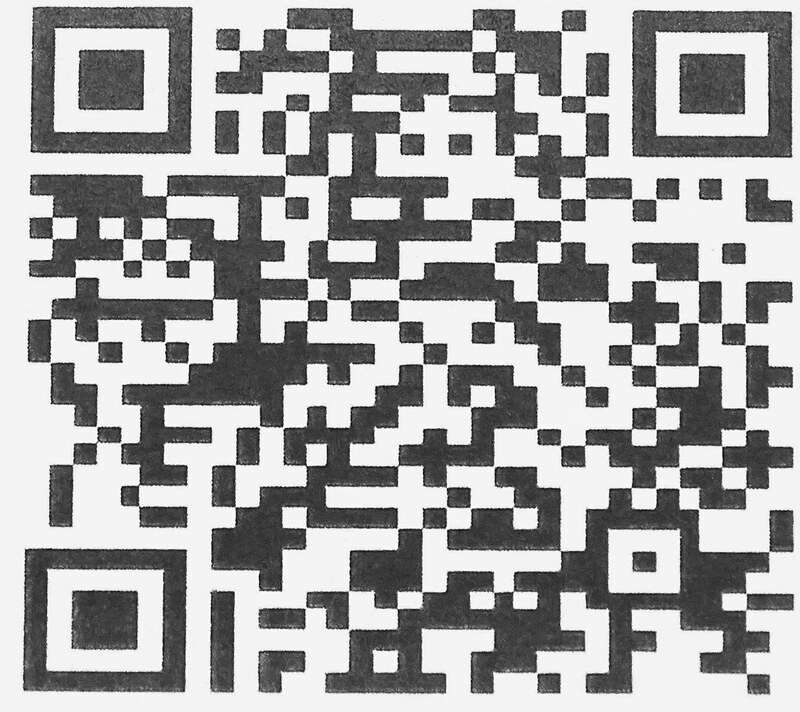 Memoriams.com is the only national network allowing funeral directors to submit and pay for obituaries in the local newspaper and out-of-area publications in a single order. Newspapers partnering with Memoriams are seeing a 30% increase in obituary revenues on average. Memoriams is a partner of the Local Media Consortium, representing more than 1,600 daily newspapers, as well as many other newspapers across the US. Adpay, Inc. will become a wholly owned subsidiary of Ancestry.com Operations Inc., and will continue to be managed by its founder, Mike Heene. "Since our first meeting, we've known that the Ancestry team, culture, and strategy is the perfect landing spot for us. This is a great next step for our team, we are thrilled to be joining an organization that so clearly understands how digital platforms like ours can help newspapers grow their businesses," said Mike Heene, founder and CEO of Adpay, Inc. "We are excited to grow these platforms together." Memoriams.com joins Newspapers.com, which powers online archives, as the second newspaper-focused business in the Ancestry portfolio. The acquisition is expected to close in the second quarter of 2016. The terms of the transaction were not disclosed. Ancestry.Com Operations Inc. operates as an online family history resource for subscribers worldwide. The company’s subscribers use Web-based services and content collection to research their family histories, build their family trees, collaborate with other subscribers, upload their own records, and publish and share their stories. Ancestry.Com Operations Inc. was formerly known as The Generations Network , Inc. and changed its name to Ancestry.Com Operations Inc. in July, 2009. The company was founded in 1998 and is based in Provo, Utah. Ancestry.Com Operations Inc. operates as a subsidiary of Ancestry.com LLC. Ancestry.com LLC is a wholly-owned subsidiary of Ancestry.com Holdings LLC (“Holdings LLC”), which is controlled by Permira funds and co-investors. Holdings LLC is a holding company with no material operations and limited assets other than its ownership of the membership interests of Ancestry.com LLC. Holdings LLC has no material liabilities outstanding to third parties other than the senior unsecured payment-in-kind toggle notes (the “PIK Notes”) as discussed further within Note 4 herein. Holdings LLC is not individually responsible for any liabilities of Ancestry.com LLC or its subsidiaries solely for reason of being a member or participating in the management of Ancestry.com LLC. On March 31, 2016, each of Silver Lake Partners and GIC (the "Investors") signed a definitive agreement to acquire substantial equity stakes in the Company's indirect parent entity from existing equity holders (the “Transaction”). Following the Transaction, the Investors will hold equal minority ownership positions in the Company's indirect parent entity, while other current investors will remain as meaningful equity investors and, along with GIC, will continue to own a majority of the Company's indirect parent entity. Additionally, the Investors have offered to purchase shares from employees upon closing of the Transaction. I think it is time to be watching and aware of what is going on with Ancestry.com. I concluded the introduction to this critical examination of wills with a note about the conservative nature of the language used. Some of the same words and phrases common in 17th Century wills are still in use today. This is no accident of history. Will language is conservative because there is a need for predictability. In the United States we have inherited much of our law from English Common Law, that is judge-made law based on hundreds of years of court decisions. Any change in the language of a will (or other legal document) will inevitably require judicial interpretation. Those who would "reform" the law often underestimate the impact their suggested changes will have on subsequent court cases involving their innovations. Hence, the law and language of wills and many other areas of our legal inheritance tend to remain the same year after year. I am going to return to the thorn, better said, I am going to write about the language and alphabet used in old wills. Like many subjects, historical orthography has its controversial aspects. One of the most commonly attacked is English spelling conventions. As we all learned in school, there is a "right way" and a "wrong way" to spell every one of the millions of English words. It is just too bad for all the children in grammar school with their spelling lists, that this is not a true statement. What is really the case is that there is an "accepted usage." Languages including their writing systems, change over time. Genealogists who persevere in doing research back into the dim past, find out pretty quickly that the words, grammar and spelling change as we go back in time. English is usually divided into three main historical phases; Old English, Middle English and Modern English. Even today, spoken and written English is far from uniform across the world and as much as we would like uniformity, there are significant differences. 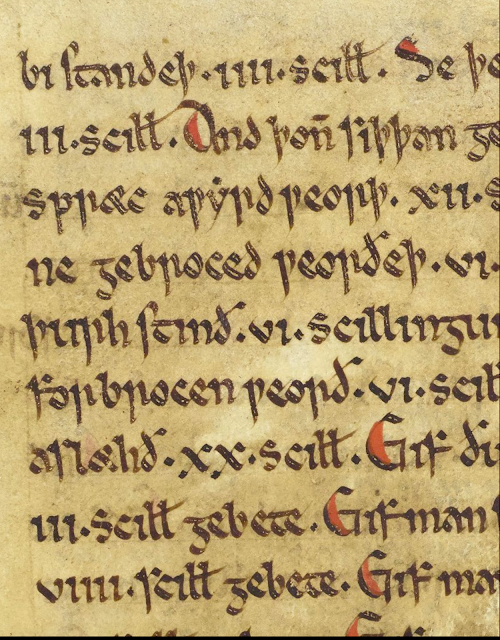 The video at the beginning of this post reviews the earliest written English law in existence. A digitized copy of the book can be viewed at the University of Manchester Library, Image Collections. Here is a brief quote from the website outlining the contents of the book. You might note, that this book is likely the earliest genealogically significant record also. The book contains two foundation charters of Rochester Cathedral and Diocese of 604 (DRc/R1 f.119 recto - f.119 verso and DRc/R1 f.177 recto), two pre-Conquest and pre-Domesday Book lists of Kent parishes and copies of the earliest English law codes to survive (contained in part i of the book, i.e. the first of the two separate books prior to their being bound together). The compilation dates from the episcopate of Ernulf of Bec (1115-1124) and more specifically from the period 1122-1123 (Hough, 2001) or 1123-1124 (Wormald, 2001). Here are two sample pages of the book. Here is an enlarged view of the text. If you look closely, you will see that there are two extra letters used in the alphabet of the time; the thorn and the wynn. The thorn represented the "th" sound we now have in the word "that." The wynn was a replacement for the double "u" or "uu." We retained the "w" as a separate letter but the thorn disappeared from our alphabet. Here is what the wynn (also spelled wen, pynn and pen) looked like. To refresh your memory, here is what the thorn looked like. The thorn appears in the above enlarged manuscript on line two. As you can see from line eight of the excerpt, the double uu was being used in the 12th Century. The wynn was not uniformly used. Madden, Frederic, Bulkeley Bandinel, and John Gough Nichols. Collectanea Topographica Et Genealogica. London: J.B. Nichols and Son, 1834. The earliest will on FamilySearch.org dates from 1698 in Maryland. Here is a copy of the will. 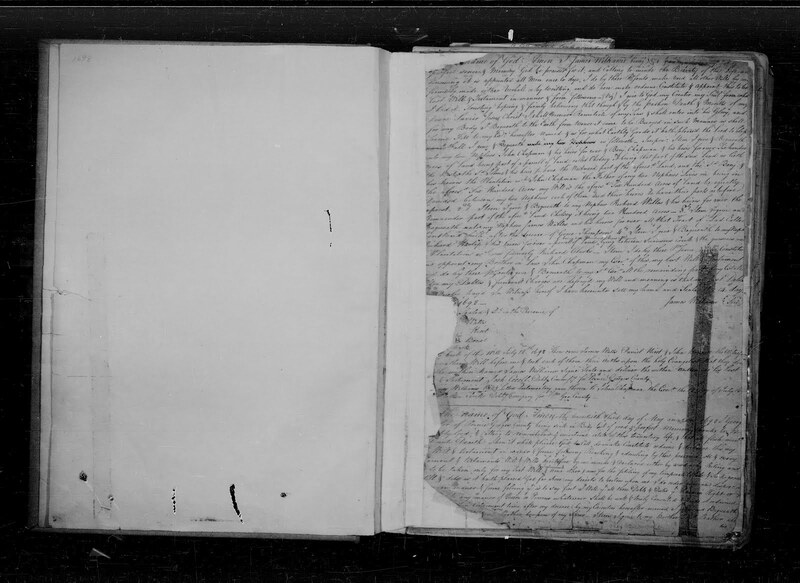 "Maryland Register of Wills Records, 1629-1999," images, FamilySearch (https://familysearch.org/pal:/MM9.3.1/TH-1942-24235-5761-0?cc=1803986 : accessed 19 May 2016), Prince George's > Wills 1698 > image 5 of 335; Hall of Records, Annapolis. Here is an enlarged view of the first part of the will. You will note that the language is very similar to that used in wills today. I will continue with this examination of wills. Here is the previous post in this Will series.